Bonnie Park Picnic Area sits on land that was once part of the community of Albion. In 1924, the land was purchased by a Cleveland physician to build a picnic area which he named Bonnie Park. When Cleveland Metroparks purchased the land in 1934, the name Bonnie Park was retained. A wildlife management area is also located here. 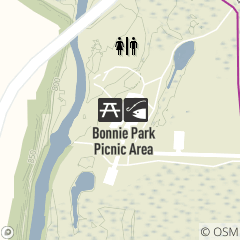 Bonnie Park Picnic Area is located off the Valley Parkway in Mill Stream Run Reservation, just east of Pearl Road/Route 42 in Strongsville.